Founded in 1992, the Tropical Galil Group is one of Israel's leading Manufacturers of toiletries, detergents, and raw materials - Serving Customers Worldwide. Tropical Galil develops and manufactures toiletries, detergents, and raw materials at our state-of-the-art plants. Our first-class manufacturing capabilities enable us to provide our customers with high-quality products at attractive prices and offer fast turnaround. We produce about 35,000 tons of powders and 15,000 tons of liquids annually. Our extensive warehouses can store up to 15,000 pallets. Working closely with our customers, our expert team develops premium products geared to consumer needs. Our R&D department focuses on developing innovative new formulations tailored to customers' requirements. 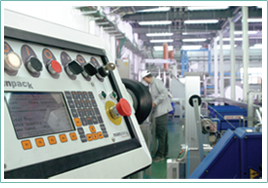 Development, manufacturing, packaging, and delivery are all handled by our professional staff. We hold ISO9001:2000, ISO14001:2204, and OHSAS 18001 certification and comply with CE, GMP, BRC and FDA standards-consistently meeting the highest possible health, quality, safety, and environmental standards throughout every stage of the production process.